Lee Mvtthews, aka, Graham Matthews and Tom Lee met in 2012 and started working together after discovering they had a nearly identical taste in music, eventuating in Lee Mvtthews in late 2013. Since then, they’ve gone from strength-to-strength, gaining a reputation for turning out infectious tunes that pair colourful melodies with bass-driven drops. 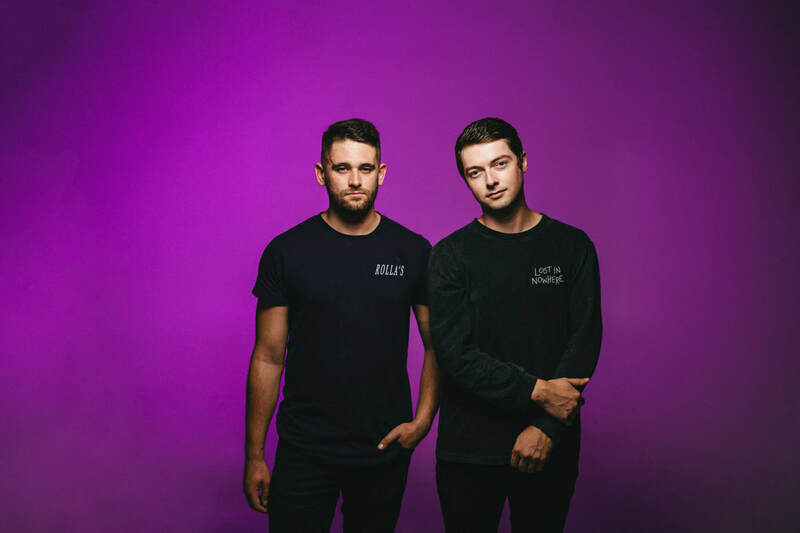 Their debut EP, SILHOUETTES, was released in late 2017 and featured collaborations with well-known Kiwi acts such as Pieter T and TY. The record’s stand-out track, ‘Nothing To Lose’, featuring Jay Bulletproof and Marino Mariner, was a huge hit on George FM winning them “Best Track of 2018” at the George FM awards. In 2018 the duo released 4 singles, ‘Stay’ Ft. Omega Levine, ‘Inside Out’ Ft. Watson, ‘Fool’, and ‘Let Me Go’ ft. Embher with three of them receiving music video funding from NZ on Air. The lads have also taken on remixes for NZ pop/hip hop sensation Kings and Perth drum and bass virtuoso’s Flowidus. Off the back of these releases and after a multitude of enthralling performances, the pair also won “Best Breakthrough Artist of 2018” at the George FM awards serving as a reminder as to why the duo is considered one of the hottest live dance acts on the scene right now. Lee Mvtthews have become a favourite in the New Zealand festival circuit, playing regularly at the likes of Rhythm & Vines, Bay Dreams, Homegrown, Springbreak Fiji, as well as headlining shows up and down the country. In their hometown of Auckland, New Zealand their 'Lee Mvtthews and Friends' series has amassed attention, hosting Australian acts like Leotrix and Badrapper. In addition to this, they have become a go-to support act for an array of international talents, such as Slumberjack, Jauz, Sigma, Borgore, and more. The boys are in the midst of wrapping up festival season after sets at Homegrown, Bay Dreams and Rhythm and Vines, before heading to their first Bush Doof at the end of March and a headline show down in Dunedin. Lee Mvtthrews are working on another single and a handful of remixes for some large Australasian talent, so do not miss out on the opportunity to see them live!